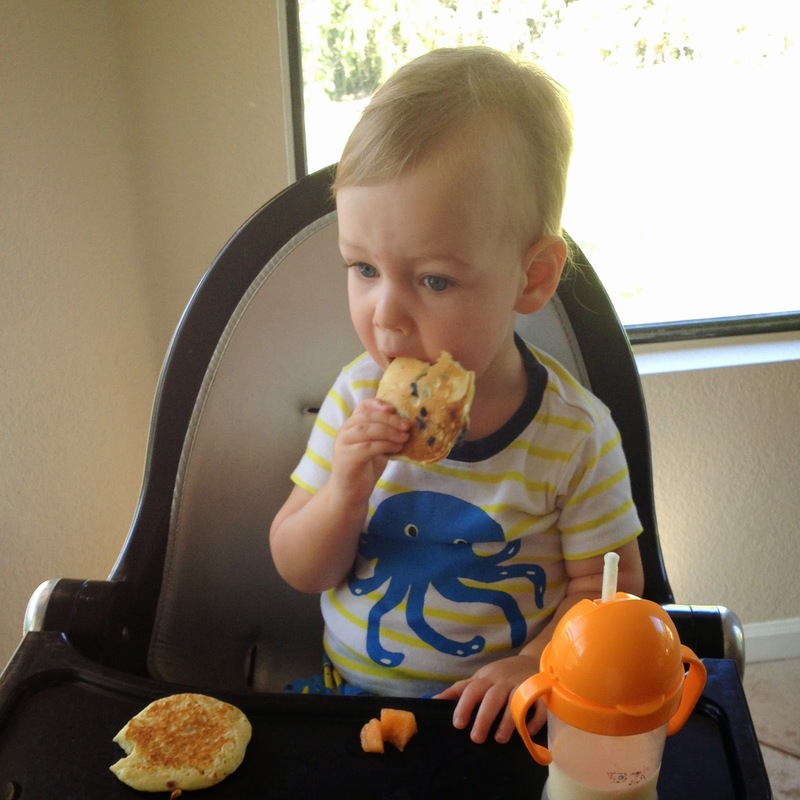 Saturday morning, I woke up and decided that Mamma Parker needed pancakes. I ended up making a double batch accidently. How does one do that you might ask? Oh, it's the mommy brain. I dumped twice the amount of milk into the batter, then had to double up on everything else as well. 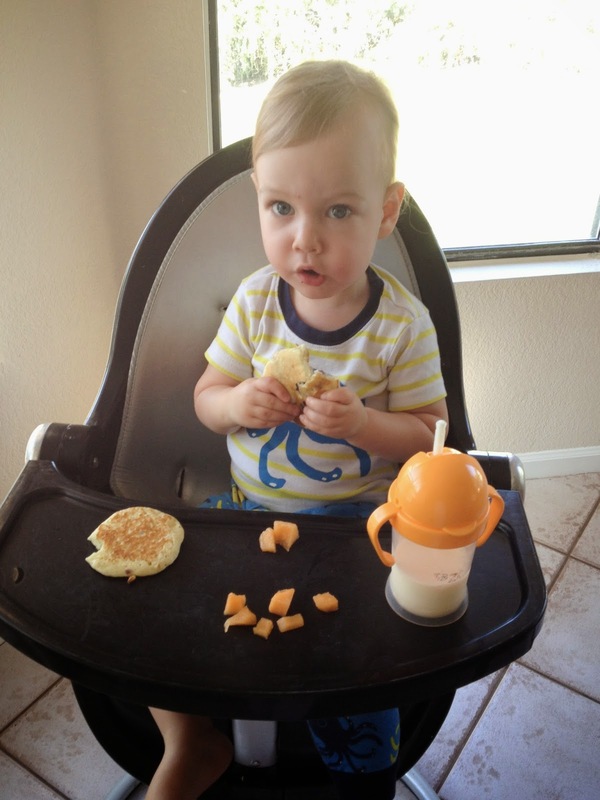 Anyway, Parker was happy with about three pancakes. And though I thought I could eat fifty pancakes, I still hadn't even made a dent in the batter after I made mine, too. Suddenly I remembered a Pinterest idea that I had wanted to try! (Sometimes mommy brain isn't that bad!) I got out our mini cupcake pan, greased it, and filled the cups with batter (I had already smashed some banana in there because we love banana pancakes). 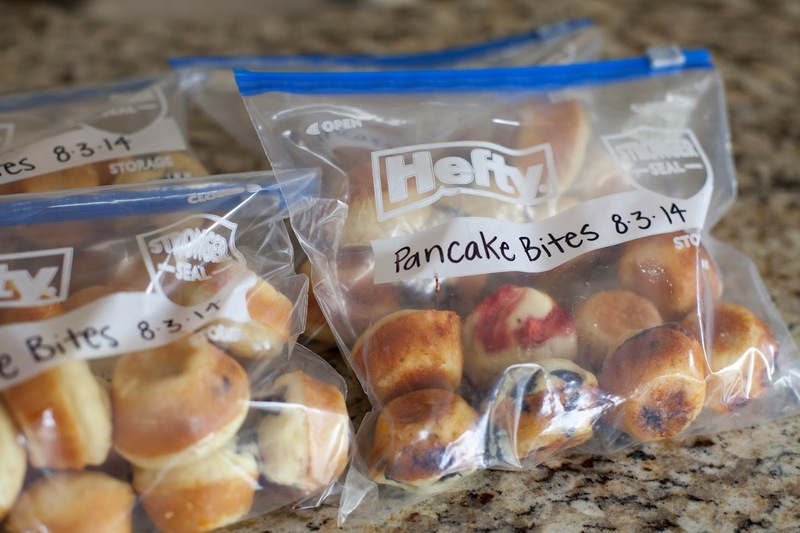 We had strawberries, mini chocolate chips and blueberries on hand, so I sprinkles some of those on as well. This has caused the photos to look oh-so Patriotic, though unintended! I popped the first batch in the oven (I randomly chose 350 degrees) for 10 minutes, checked on them, then added another four minutes. They seemed perfect to me! Around that time, I received a phone call from our realtor saying we had a house showing that day. This was Parker's concerned Can I finish my pancakes first? face. Luckily, the showing wasn't until noon. 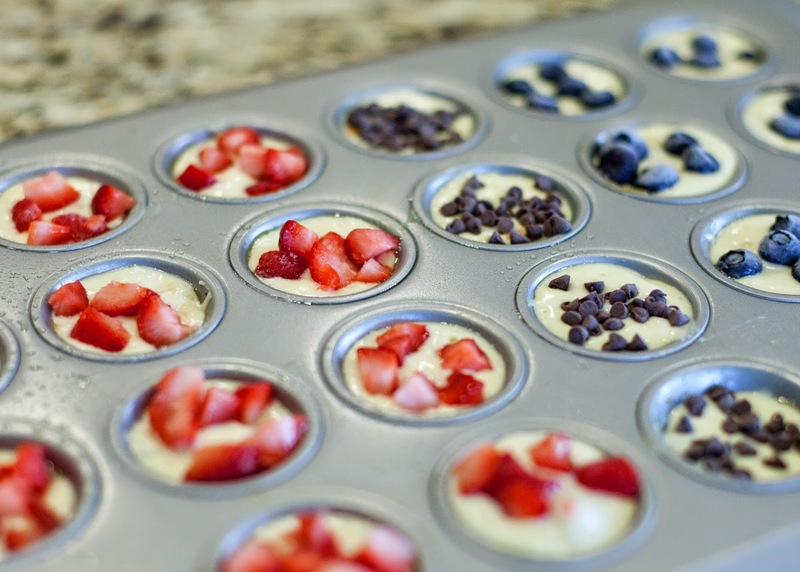 I let the Mini Pancake Muffins cool then popped them out onto a plate. So cute and so delicious! 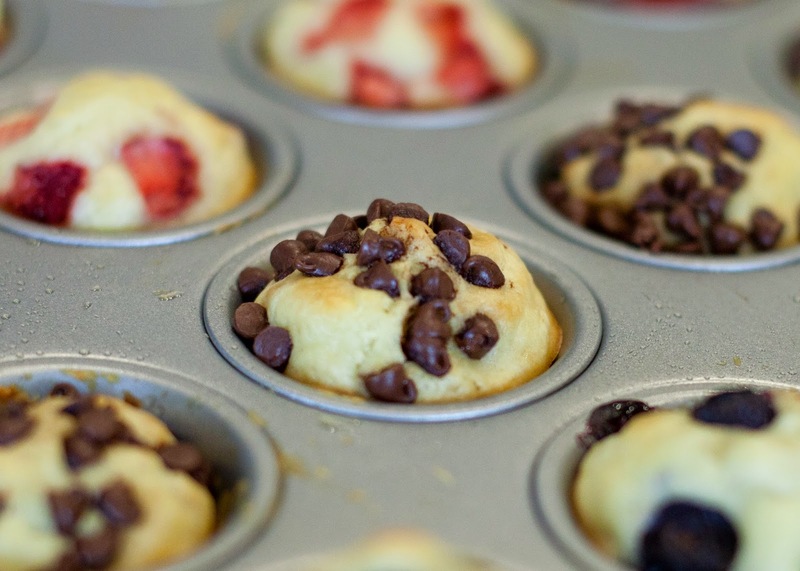 Since I had made so much batter, I ended up with a ton of muffins, most of which I froze. Parker took his morning nap while I got the house ready for the showing. You would have thought it was Parker doing all the cleaning because this is how I found him when it was time to leave for the house to be shown - fast asleep, not even opening the bright window could get him to budge! 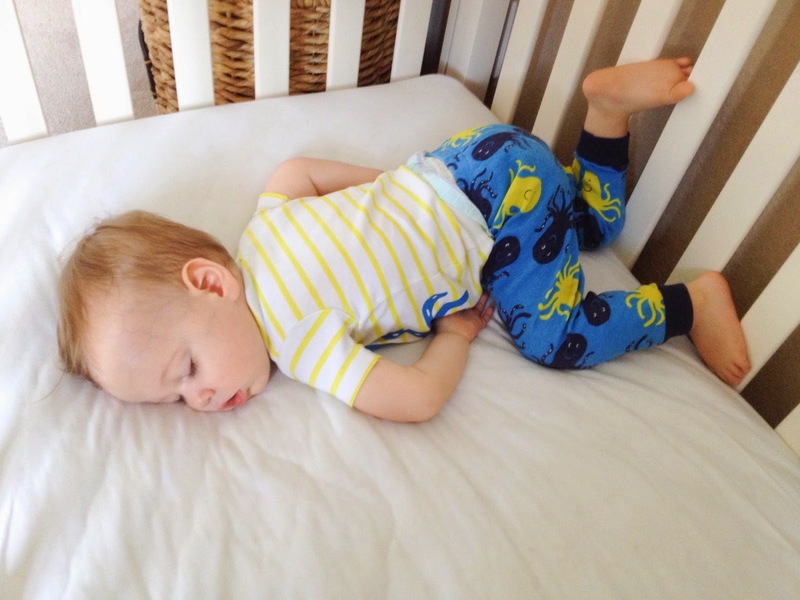 Sweet, sleepy little man, we will be done with house showings soon! 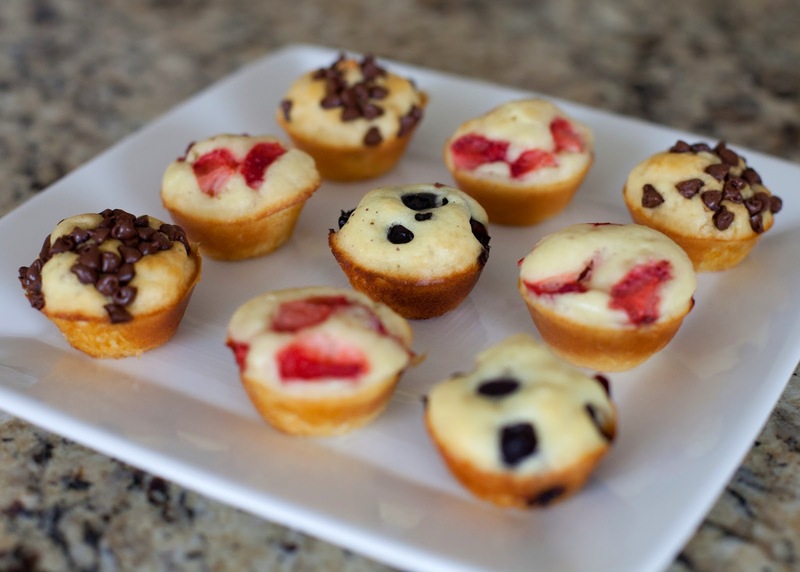 I did mini frittatas once in the muffin pan, but these look so yummy!! I need to try these. I've tried frittatas, too! With and without cupcake liners, without is so much better.